Rapid prototyping services is a group of strategies used to rapidly create a scale model (prototype ) of a physical part or assembling parts utilizing three-dimensional (3D) computer supported design (CAD) information. The principal techniques for rapid prototyping services. Today, Rapid prototyping services are utilized for an extensive variety of applications and are utilized to make generation quality parts in generally few numbers if sought without the normal horrible financial aspects. Rapid Prototyping services also enable organizations to transform awesome ideas into effective items/products quicker than at any other time. it encourages discourse through visuals rather than words thus guarantees that everybody shares a typical comprehension, and it diminishes hazard while maintaining a strategic distance from missed necessities, prompting a superior product at a speedier rate. 1. A CAD model is developed which is then converted over to STL (stereolithography) file format. The resolution can be set to limit stair stepping. 2. The RP machine forms the STL (stereolithography) file by making cut layers of the model. 3. The main layer of the physical model is made. The model is then brought down by the thickness of the following layer, and the procedure is rehashed until the finish of the model. 4. The model and any backings are evacuated. The surface of the model is then completed and cleaned. Rapid prototyping services typically utilize various techniques include. CNC implies Computer Numerical Control. This implies that a computer changes the plan created by Computer Aided Design programming (CAD), into numbers. The numbers can be thought to be the directions of a diagram and they control the development of the cutter. CNC Machining is a procedure utilized as a part of the Rapid Prototyping services that includes the utilization of computers to control machine instruments during prototype developments. Devices that can be controlled in this way incorporate machines, factories, switches, and processors. As a general rule, a CNC machine is customized by a developer utilizing CAM programming who utilizes the product to apply apparatus ways to a 3D or 2D model of the part they need to make. At that point, the Rapid Prototyping services engineer will put the machine into the programmed mode and begin the program to make the part. At Creatingway, our engineer team will support you through the entire process from parts design to building and injection production. We produce these parts mainly for auto parts, bicycle parts, medical parts and application parts. We use appropriated tooling materials like H13 with HRC process based on projects materials such as aluminum, Zinc etc, and choose different die casting machining to injection such as hot chamber machines (for alloys with low melting temperatures, such as zinc ) and cold chamber machine (for alloys with high melting temperatures, such as aluminum). 3D printing, otherwise called added additive manufacturing (AM), refers to Rapid Prototyping services used to make three-dimensional objects in which layers of material are framed under computer control to make an object/prototype. Objects can be of any shape or geometry and are created utilizing an electronic model from a 3D display or another electronic information source, for example, an Additive Manufacturing File (AMF) document. STL(stereolithography) is a standout amongst the most well-known type that 3D printers can read. Stereolithography is one of the oldest rapid prototyping services, yet it stays a standout amongst the most famous procedures because of its astounding models/prototypes and sensible costs. Stereolithography is an added substance producing process where the machine develops an endless supply of the 3D show, beginning with the base layer. After a few hours have passed, the model is done. The material utilized is a fluid photopolymer, which feels like plastic when solidified. The assembled plate sits inside a vat of the fluid and a laser framework targets for particular points on the plate solidifying the proper segments for each layer. After each layer is done, the plate drops with the goal that the machine can start the following layer. Bolster structures are made to help with overhanging highlights. PolyJet machines utilize a model material that is like Stereolithography materials however it is set and cured in an unexpected way. PolyJet 3D Printing (trademarked by Objet) is an added substance fabricating process. The machine develops an endless supply of the 3D display, beginning with the base layer. After a few hours have passed, the model is done. The material utilized is a fluid photopolymer, which feels like plastic when solidified. A moveable piece with at least two inkjet heads showers fine beads of the model and bolster material amid each pass, while a ultra-violet light in a flash cures the kept material. After each layer is done, the plate drops with the goal that the machine can start the following layer. This procedure considers ultra-thin layers and a smooth, polished complete much of the time. One extraordinary advantage of cutting edge PolyJet printing is the capacity to print two unique materials in one form. This enables the model to have over-trim, utilizing a plastic-like base and elastic like embellishment. Like PolyJet printers, ProJet printers are made by 3D Systems and utilize Multi Jet Modeling Technology to store thin layers of ultra-violet reparable acrylic plastic. These Rapid prototyping services procedure pulls in sheets of crude plastic, paper, or metal, at that point cuts them into shape utilizing a laser or blade and afterward sticks them together. After many layers are stacked, the last model is done. 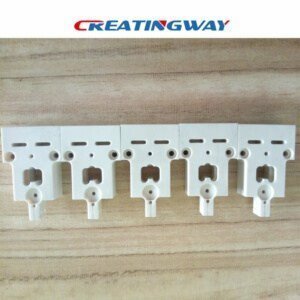 This rapid prototyping service involves the use of specialized printers which are utilized for metal prototyping. They use an added substance fabricating innovation known as immediate metal laser sintering or DMLS. This procedure takes into account very mind boggling geometries including bent or spiraled shapes with depressions and undermines. The sorts of metals that can be utilized as a part of 3D prototyping incorporate aluminum, stainless steel, and titanium. As the name rapid prototyping proposes, turnaround times are regularly considerably speedier than utilizing customary strategies for creating metal shapes. A completed part can be made inside only a couple of hours relying on the measure of the coveted 3D model.